The way this small hollow in a tree root was gently sheltering these beautiful delicate leaves made me think of a cradle. (My brand new Grandbaby might have had something to do with that thought process!!) 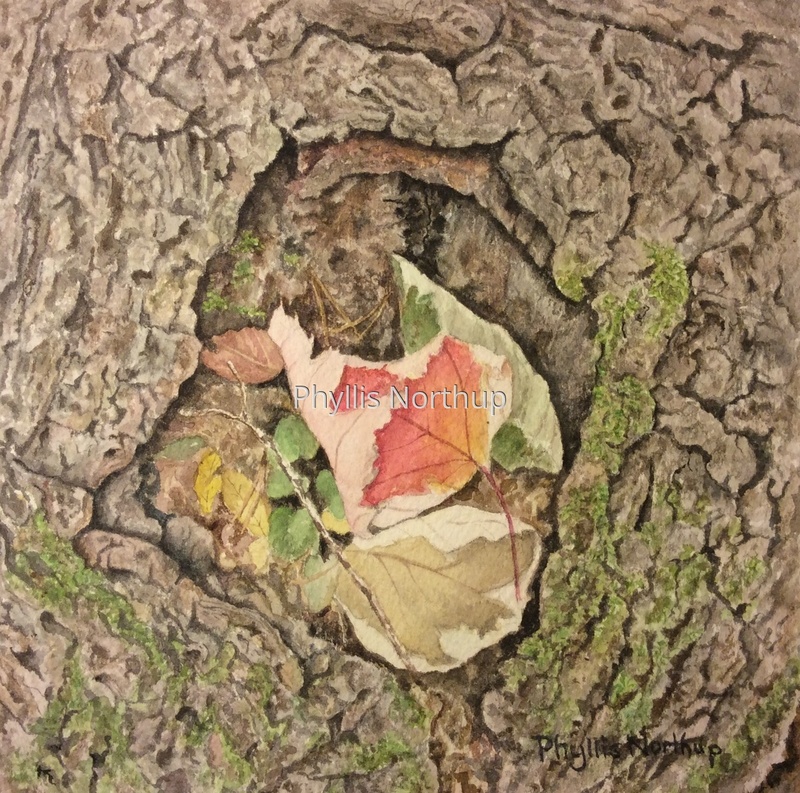 This original watercolor is matted and framed to 10"x10" and available through April 21 at Middle Street Gallery.